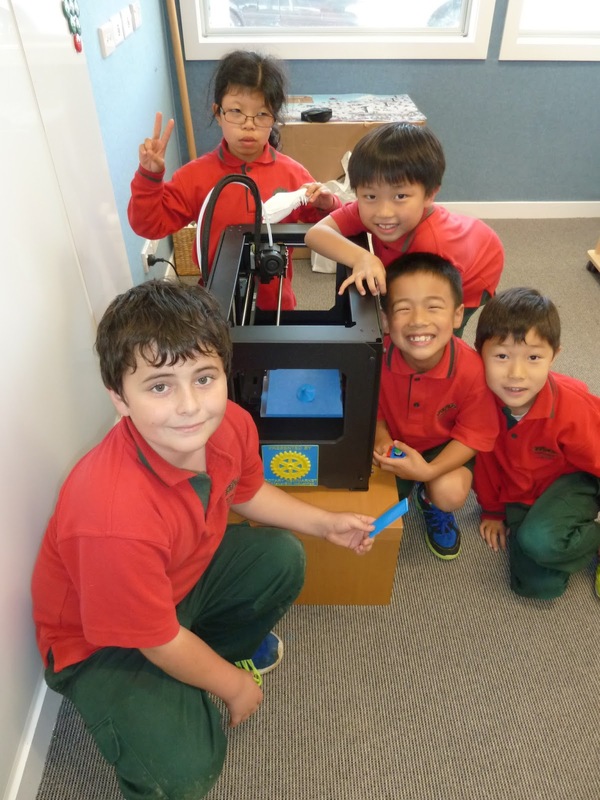 An introduction to the Vice President Research & Development, MakerBot Industries in the US was the seed for the Rotary Club of Newmarket, NZ initiative to put 3D printers into schools. MakerBot have a goal of partnering with the community to put a 3D printer into every school in the US. Newmarket Rotary Past President Brian McMath suggested to MakerBot that his club would be an ideal partner for this in NZ. The result was MakerBot gave the club a 3D printer to kick start the project. The printer was commissioned by staff at the NZ Product Accelerator; a Government funded initiative to transform companies through innovation. “The Product Accelerator has pulled together all 3D printing capability in its partner universities and increasing awareness of this technology is one of its goals,” said Professor Mark Taylor, Director of the programme, “so this partnership with Newmarket Rotary was an ideal fit”. The initiative was launched at a Rotary District 9920 vocational visit to the Auckland University of Technology on May 27. Space was limited to 50 Rotarians and their associated school’s technology teachers. The visit was a “hot ticket” item, so a waiting list had to be instituted. Visits were made to the Additive Manufacturing (3D printing) Research Centre, the Scanning Electron Microscope and the Robotics Department. Two technology teachers from Newmarket Primary gave a talk about their experience with the 3D printer and how it has enhanced the technology learning in the school. The presentation went viral on social media, particularly Twitter, as the teachers at the school are hotwired on social media. “The cost of 3D printers has decreased significantly as the technology has developed which makes them very affordable to most Rotary clubs, so our goal is to make this a NZ wide project,” says Brian. The next 3D printer purchased by Newmarket Rotary went to Point England School and June Gray Charitable Trust funded one for May Road Primary School (both of these schools are the lowest socio-economic decile 1 rating). Newmarket Rotary also purchased one more 3D printer for another primary school, so four 3D printers were placed by the end of July. Rotary in NZ has a signature project in mind once a few more schools get these printers - printing a full size Moa bird! The concept is that schools would 3D print designated sections of the extinct Moa which would then be assembled. Another idea is Victoria University School of Design are talking to the national Museum of NZ Te Papa Tongarewa in Wellington to see if they have parts of a Moa skeleton with some bits missing which the schools could then print the missing pieces. For further information contact Brian McMath mcmath@paradise.net.nz / +64 21 914 439.